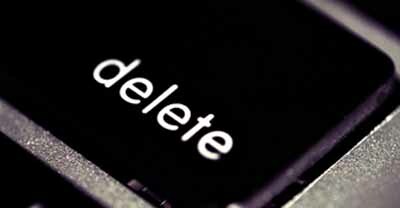 Dont hit that delete button! Online landfills are rapidly running out of room for spiked e-mails and files. 'We're one or two inspirational chain letters from disaster,' expert warns. The E-pocalypse is at hand. Too many people mistakenly believe that emptying the trash icon on their computer gets rid of deleted e-mails and files. In reality, the unwanted files go to cyber landfills that are now dangerously close to capacity, experts say. Unless something changes, the Internet will soon turn into the online equivalent of a backed-up sewer, spewing discarded jpegs, e-mails, spam, Word documents and other detritus into computers worldwide. "We're just one or two inspirational chain letters from disaster," said Caltech professor Bob Nostradamus. "It'll be worse than Y2K, global warming and Chernobyl combined." In response, some corporations have inaugurated recycling programs. Exxon Mobil, for example, now requires company memos to be at least 20% composed of previous memos. "They're just as incomprehensible as before," an Exxon spokesman said, "but much better for the virtual environment."